Environmental science and ecology are closely related principles. However, they are far from being alike. This article provides information on the significant differences between these two important interdisciplinary fields. 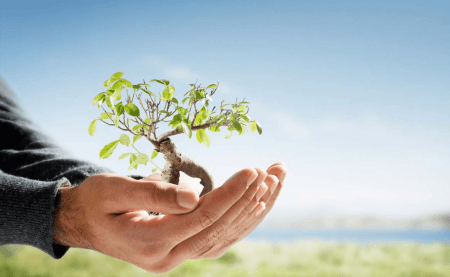 Ecology is the in-depth analysis of the interaction of organisms with their environment, along with their interaction with abiotic components (also known as the non-living physical or chemical elements) present within the environment. It is a field that integrates other sciences including geography, biology and Earth science. Aside from analyzing the different types of relationships that exist between organisms, ecology also focuses on diversity and distribution, along with the number of organisms present in the ecosystem. Environmental science, on the other hand, merges ecology, geology, mineralogy, biology, zoology, soil science, and other sciences into the scientific study of the environment. A field geared towards finding solutions for problems within the environment, environmental science is the analysis of the interaction between chemical, biological, and physical elements present in the environment, and their impact on the ecosystem and the organisms living in it. So what’s the difference between ecology and environmental science? Even though they may seem similar in a number of ways, these two interdisciplinary fields have significant differences. First, ecology is the scientific study of the interaction of organisms with each other, along with their relationship with other organisms and their ecosystem. Meanwhile, environmental science is the extensive scientific analysis of the environment. It focuses on the interaction between physical, chemical and biological components within the environment. Ecology and environmental science also have different aims. Ecology seeks to understand life process, adaptation, and biodiversity. It analyzes factors that influence the prevalence and distribution of organisms and the relationship that exist between them. Environmental science, on the other hand, is broader in scope as it aims to identify the internal and external factors that affect the environment and the organisms living in it. Additionally, this interdisciplinary field seeks probable solutions for environmental problems. The key elements in the study of ecology not only include interaction and adaptation, but other important issues such as the changes in the ecosystem and the external factors that affect the population as well. For environmental science, the main issues include the effect of human populace in the ecosystem, the main impact of global warming at a larger scale, the effects of urban living in environmental change, and sustainability measures. Since these fields differ in purpose, environmental scientists and ecologists vary in job scope and limitations. While ecologists study group interactions include mating habits, migration, food preferences, and predatory patterns, environmental scientists analyze earth processes, assess systems used for alternative energy, evaluate measures for mitigating air and water pollution, and manage existing natural resources.